All praise be to Bandai Namco for the the long-awaited Dragon Ball Legends smartphone app. Finally, a Dragon Ball mobile game exists where players can square off and fight, rather than collect little cards, match colour bubbles and unlock characters – as was the case with DBZ Dokkan Battle. The games visuals are awesome, the soundtrack language can be toggled and the tutorial (in which King Kai guides players through the menus and controls) is sublime. Players may need some patience for the dialogue, which seems to go on forever at times – especially in the story mode. A couple of characters are unlocked from the get-go and then players are tasked with training up their fighter, upgrading their power levels enabling them to defeat stronger opponents in the story mode and in online battles with other players. Moving onto the drag strip, the street racing game CSR2 (Or CSR Racing 2), will bowl players over with its visuals. Not only does the game look stunning, the cars it contains have been rendered with so much detail, it’s staggering. On top of that, players have access to stock vehicles which they can then customise with liveries, paint jobs and more. The interface is smooth and uncluttered to boot. 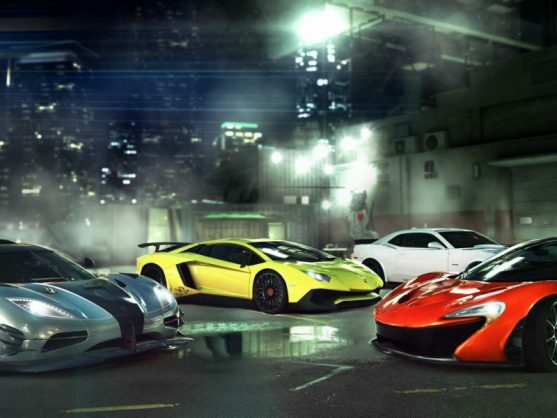 The aim of this game is to rack up wins that earn players in-game money, which in turn allow them to trick out their car in terms of speed and looks. Players also have the option to upgrade their ‘crew’ and score points to unlock keys to special parts for their ride. One of the standout features is the augmented reality camera. Players can use it to examine a live-scaled car and even interact with parts of it. You can open the doors or bonnet and even zoom in to look at smaller features such as radio knobs or steering controls. Want to trick your parents into thinking you purchased an exotic car? The graphics from the augmented reality are almost good enough to let you achieve that impression. Unfortunately, though, this isn’t best mobile racing game I’ve ever played. Some races really require you to work hard at tuning and shifting. On top of that there’s a bit of an aggressive move here to push players towards in-game transactions. Unless you pay real money, you’re in for a lengthy grind. The very popular Drift Max Pro (designed by Tiramisu) is a pretty straight-forward affair. Players start off with car, head into a race and are awarded money to drift their way to victory. The soundtrack and music compliment the action, which is pretty high-octane. Players are unlikely to care if they hit corners, or even lose, because the the satisfaction of slamming the car down and stretching a negative camber makes it all worth it. The customisation levels are pretty insane – check out the trailer above – but the visuals aren’t as easy on the eyes as those in CSR2. I could also have done with fewer ads and more content.